Kaiser Rolls and dining al fresco - Chocolate Chocolate and More! Kaiser Rolls are great for sandwiches or as a side with meat dishes. We eat them most weekends for lunch. We have kids, it’s just easier. I don’t know if it’s the fresh air or what, but they are so much better. tastes better than when we eat the exact same thing at the kitchen table. So we’re going fishing Saturday, making a day of it with some good friends. Well of course we’ll have to have sandwiches. But these are special people we’re going with. I know, I’ll bake the rolls. I look at some of the recipes I have, dinner rolls, nope, won’t work. loaf is best fresh out of the oven in my opinion. Time to head to my favorite site King Arthur Flour . Just a quick note about them. The company has a great story, are employee owned and If I lived within a hundred miles of this place, I’d never have to bake again. I have to settle for buying their flour in our local grocery store for now. If you get a chance, wander around their site. They have great recipes, tutorials on bread making (they have videos on commercial bread making somewhere on the site. I watched them a few years ago and it just made me more comfortable with the bread making process.) You can tell the employees love where they work and that says so much about a company. I like to support companies like that whenever I can. So back on topic, I head over to King Arthur Flour, start looking through the recipes and I find Kaiser Rolls. Perfect, a sturdy, flavorful roll that will travel well. then just a few kneads in the bowl, made it all come together. Knead the dough for 5 minutes, then allow it to rest for 10 minutes (which gives the dough a chance to absorb the liquid and the gluten in the flour a chance to relax.) Knead the dough for an additional 5 minutes, or until it’s smooth and supple. The dough should be quite stiff, but not at all “gnarly;” adjust consistency with additional flour or water, as necessary. This is a tough dough, you will get a workout kneading it. Transfer the dough to a lightly greased bowl, cover with cloth and allow to rise till it’s noticeably puffy, about 1 hour. Transfer the dough to a lightly greased work surface, and pide into six equal pieces. Shape the pieces into round balls, and place them on a lightly greased or parchment lined baking sheet. Working with one ball at a time, center your kaiser stamp over the dough. Press down firmly, cutting to the bottom but not all the way through the dough. This is important; if you don’t cut deeply enough, the shape disappears as the roll bakes; if you cut too deeply (all the way though), the roll will form “petals” as it rises and look like a daisy, not a kaiser roll. Practice makes perfect. Repeat with remaining rolls. Ok, I don’t have a kaiser cutter either, I used my sharp knife and cut a deep cross in the top. Place the rolls cut-side down onto a lightly greased or parchment lined baking sheet. Cover with cloth and allow them to rise for 45 minutes to 1 hour, or until they have almost doubled in volume. Turn the rolls right side up. Dip tops in milk and coat with poppy or sesame seeds, if desired. 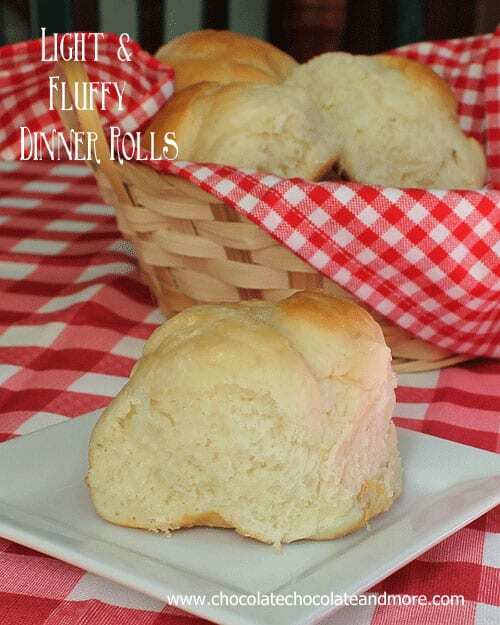 Bake the rolls in a preheated 425 F. oven for 15-17 minutes or until they’re golden brown. Remove them from oven, and cool on a wire rack. A great way to store home baked bread is in old bread wrappers (from your loaf bread), just another way to recycle! Your rolls look delicious! I wonder if the recipe would work with. White whole wheat flour. I’m a HUGE king Arthur fan too, mostly because of all the amazing recipes I’ve seen on blogs. Thanks Miriam, I found that when I make loaf bread whether it’s a loaf pan or bagette, they just don’t fit in a ziploc, the old bread wrappers just work best! Tammi, hope you like them, we sure did! Hi! I came across this recipe on Pinterest and tried it out last week. The rolls were a great flavor, but mine turned out pretty dense. I’m not sure if that’s how they were supposed to be or not, any feedback??? Thank you!!! @Laura, I would try cutting back on the flour, when I make a new bread recipe, I usually cut out about 1/2 cup of flour. I’ve found in my area, Georgia, heat, humidity, cold, all play a factor in bread baking. also it’s possible to over knead a bread which will make it “tough”. I’m not an expert by any means but these are just a few things I’ve learned over time. If you like making bread just keep playing with it or try a different recipe. I’ve made a few bread recipes one time only because they just didn’t work for me, but I still love to make bread!